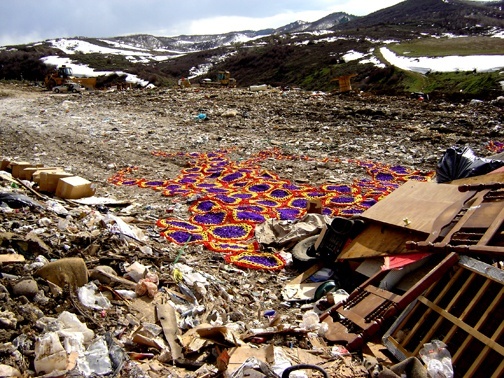 Like many scenic communities, Steamboat Springs is experiencing explosive population growth. 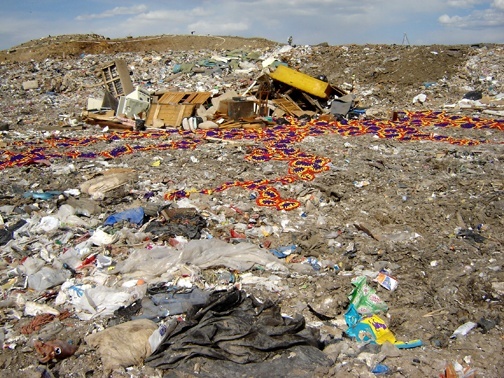 This invasion of humanity has created many community challenges and concerns, key among them the protection of the environment in the face of major development. 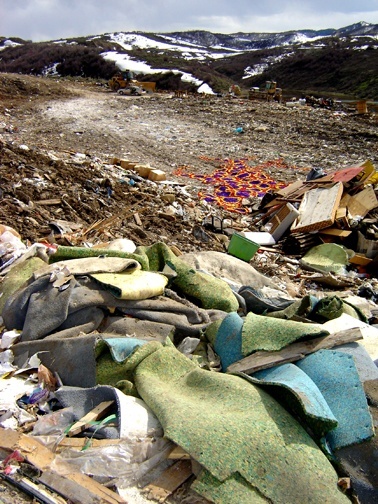 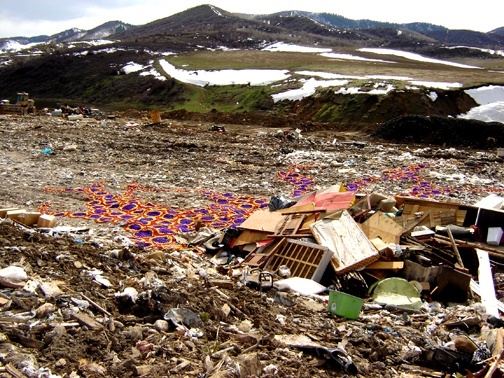 Dump at Steamboat highlights a critical concern related to population growth -- garbage. 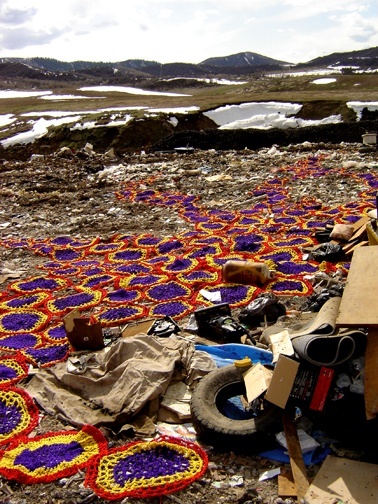 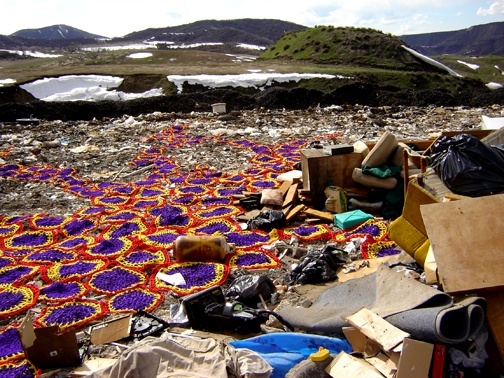 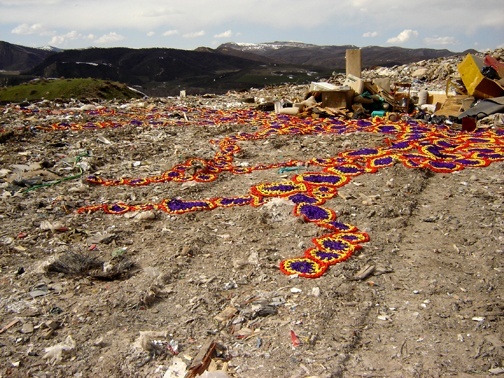 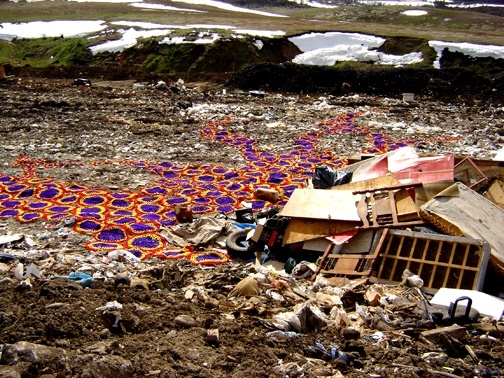 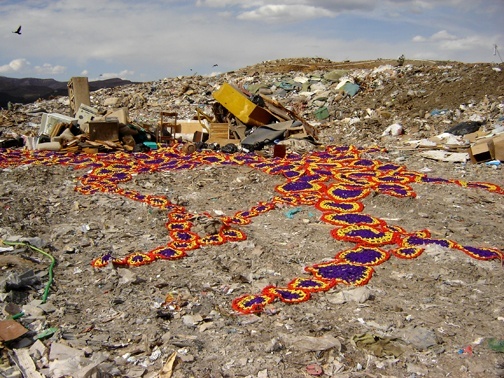 The (wo)man made viruses blossom amongst the piles of waste and seep toward the pristine hills and mountains surrounding the dump. 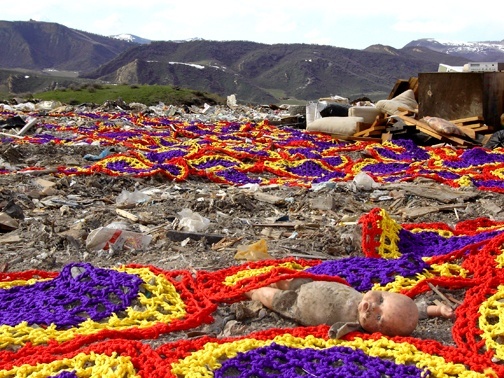 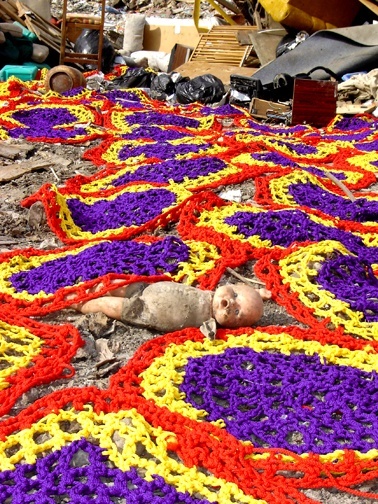 The piece highlights the challenges of population growth, consumerism, and environmental protection.